A smile is simple, yet can have a powerful impact. For many, your smile is the first thing they notice when they meet you, and it can make a big impression. What does your smile say about you? If you want to make sure your smile makes a positive impression, consider one of our whitening options. We offer Crest 3D White Whitestrips with Advanced Seal™ Professional Supreme, which are not available in stores. These whitestrips are about 3x stronger than whitestrips that you can find in a retail store, and deliver professional whitening in just one hour/day, for two weeks. You should see results after the first use. The Advanced Seal technology helps the strips adhere to your teeth without slipping, to provide a better whitening experience. 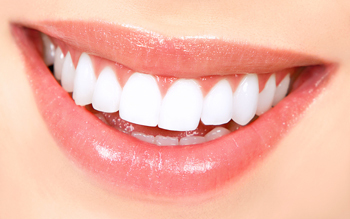 If you are looking to drastically whiten your teeth, our custom tray bleaching is a good fit. This service takes place over two appoints: at the first appointment, we will take impressions of your teeth, and at the second appointment we will fit the trays. The bleaching is done in the convenience of your home. You may use the bleaching solution 1-2 times per day for up to half an hour, as prescribed by your dentist. All directions will be explained thoroughly during your appointment. Trays are custom-fitted for you, and are reusable. Veneers help to perfect your smile by masking discolored or slight mis-alignments in your teeth. Thin porcelain coverings are custom-made and bonded securely onto the front of your tooth for a beautiful and natural result. If you are interested in any of our teeth whitening solutions, please call 952-443-3368.